The Merced River is free-flowing from its headwaters east of Yosemite National Park down to Bagby Reservoir. 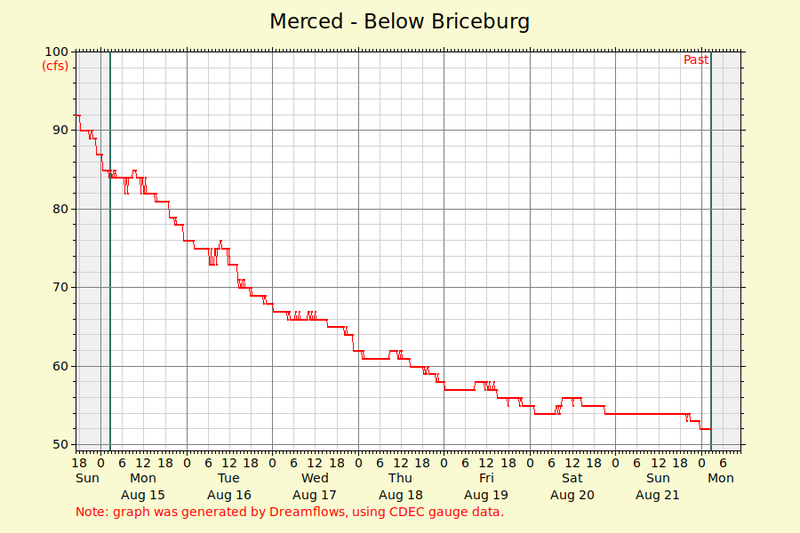 With no upstream reservoir releases, the Merced relies on runoff from snowmelt. Whitewater rafting can be enjoyed from April to July depending on the winter snowpack. Peak flows generally occur during the months of April and May. All river flows are measured in "cubic feet per second or cfs". You can whitewater raft with flows ranging from 400 cfs up to 10,000cfs.